Hello! This is my first post on this awesome website! 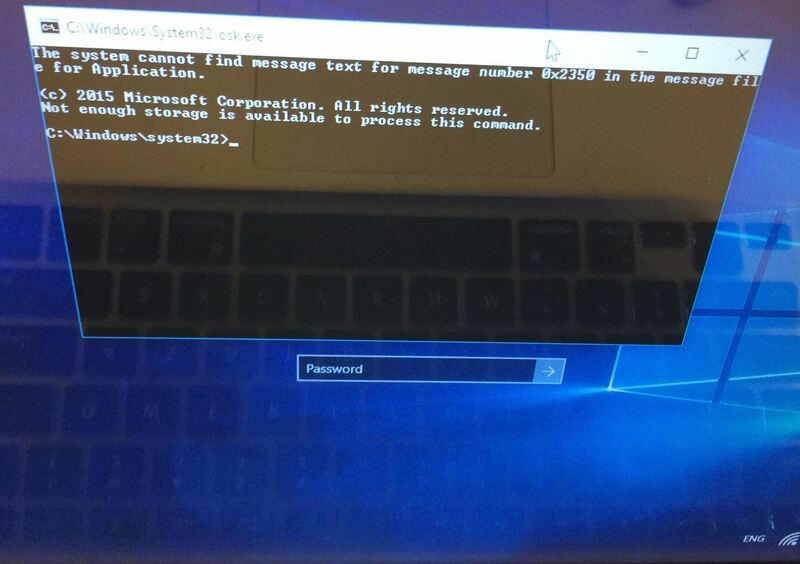 I know that Windows exploits are less common than the more advanced hacks, but I found something I deem pretty cool and figured why not share it with you all. Alright, enough about me, lets begin. 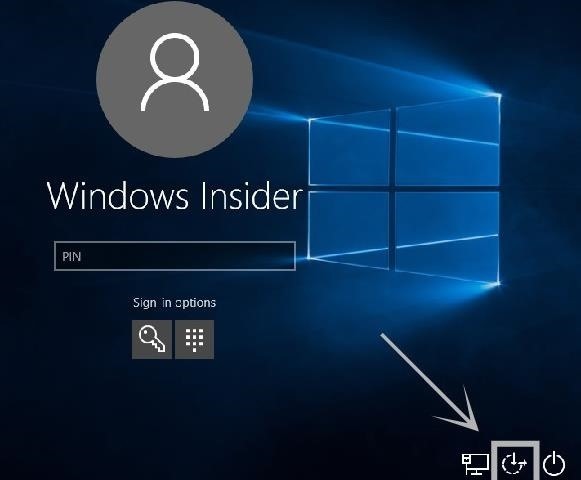 Warning: This resets your password, it does NOT tell you what your old password was, making things such as the windows password based encryptions unaccessible, as this isn't changing your password, so it will not update. 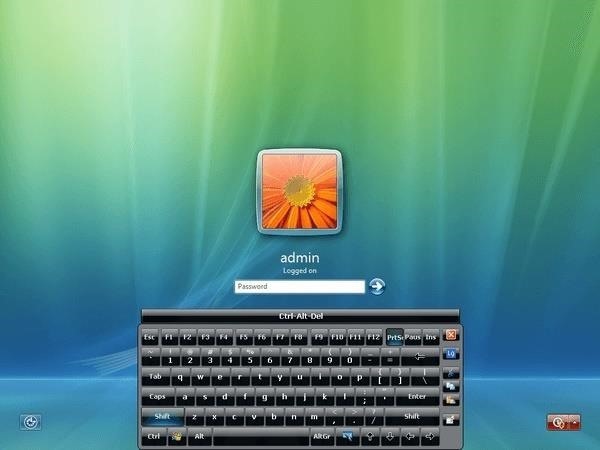 This exploit takes advantage of the ease of access tool on the login page by 'tricking' windows into launching a fully privileged command prompt by selecting 'on the screen keyboard' this is done by renaming the on the screen keyboard exe to something random, and renaming the cmd.exe to on the screens previous name. It will all make since later. I'm going to infer you know basic navigation and be able to navigate to the Windows partition. Now I'm sure you see how this works, but ill explain it anyways. Basically, when you press 'on screen keyboard' in the ease of access terminal, Windows launched osk.exe, which normally is the on screen keyboard application. But we changed it to launch cmd instead. Like magic. Sorry for crappy picture, couldn't find how to take screen shot on login menu. If you don't know the password type in net user and locate it there. Well that's it for my first post! I came across this exploit a while ago and found that it still works so I don't know how common this is or anything like that. Hopefully its not too popular and too many this article is something new! Well, Enjoy! This is a pretty old workaround but it is indeed useful and worth mentioning. Although it is notable that not everyone runs Windows dual-booted on a Macbook, making this particular method not consistently effective. 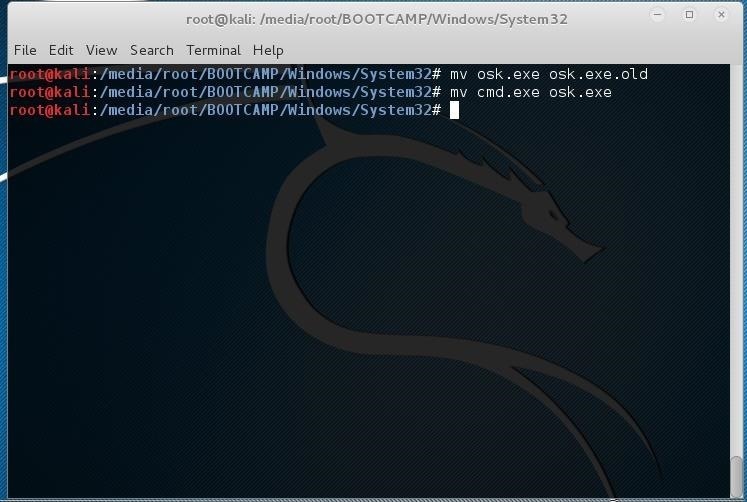 There are methods involving using an installation disk, and cutting-off power during boot — these are more conventional and widely established. Nevertheless, thanks for sharing. Thank you! Well, I did not mean for it too come across as this requiring to be dual booted. I just happened to be dual booted on this computer. 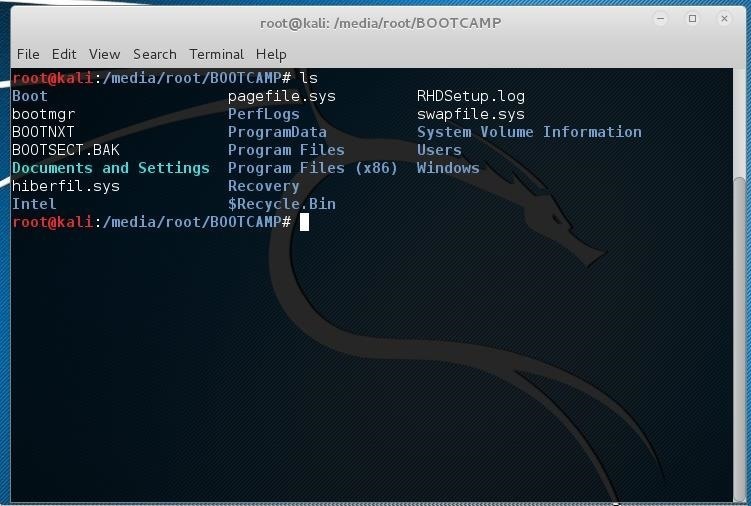 It can be accomplished by plugging in a USB with a live booted OS or a windows installation USB/Disk in any Windows running PC. This is his tutorial.Link.Thanks for sharing nevertheless. Ah. Wow. I started writing this late last night and didn't even think to check if someone else had posted it. Feel so stupid. I'll be sure to check if I write another post sometime, thanks. Tools like hackers include the Ophcrack ,Kon-Boot and John the Ripper , any tools of them can be used to hack Windows password witout logging .